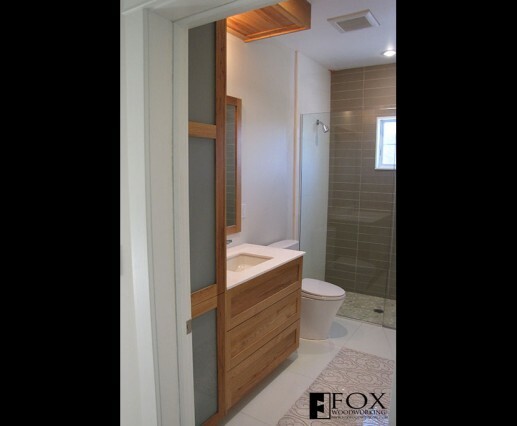 Here is another view of the chestnut vanity and linen closet. In addition, the light soffit (just visible to the right of the linen closet at the ceiling) is also made from reclaimed chestnut. The translucent glass panels in the linen cabinet doors are white laminated safety glass. 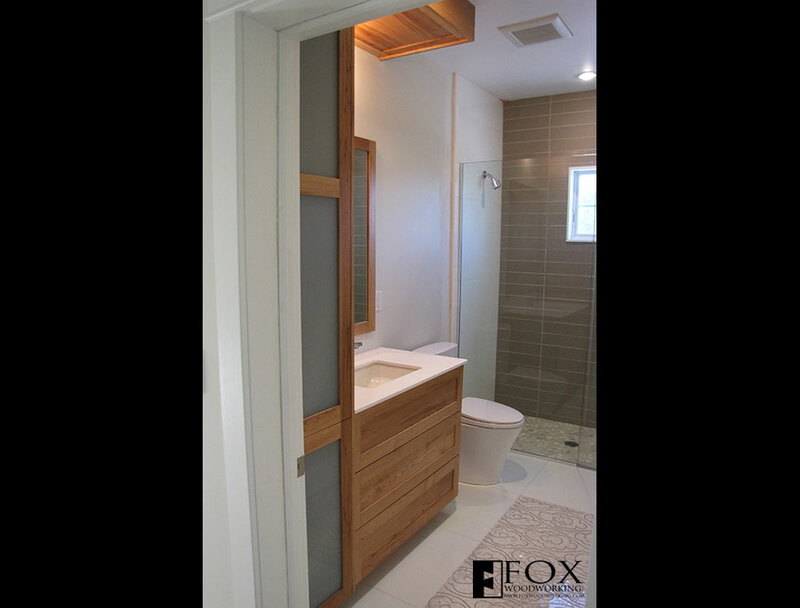 In addition, the doors utilize a soft and self closing feature on the hinges. Finally, you can also see the right-hand edge of the reclaimed chestnut mirror frame.